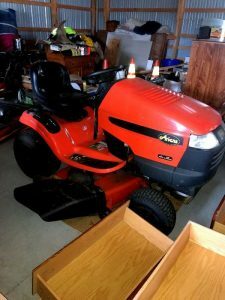 Medford Company Store | Tabernacle, NJ Estate Sale. 3/2 Only! Getting up at the crack of dawn is nothing new to a lot of folks who will be drawn to this sale. Outdoorsmen, sportsmen, fishing enthusiasts, hunters, lovers of the great outdoors … it’s all here for YOU !! Tabernacle, NJ Estate Sale. 3/2 Only! ALL SALE ARE FINAL – merchandise is offered “as is, where it is”. Please be prepared to remove and transport your purchases on the day of the sale. We do NOT provide porters or delivery services.